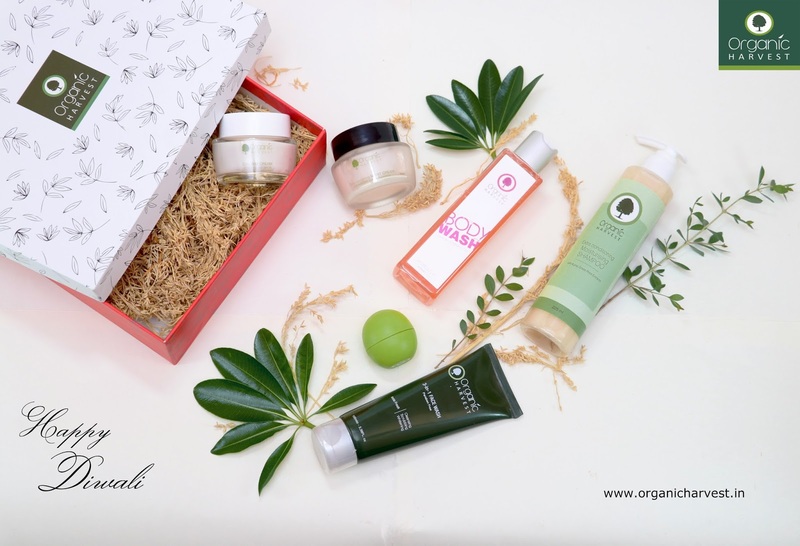 Sriz Beauty Blog: Organic Harvest introduces four gifting hampers with four different ranges!!! 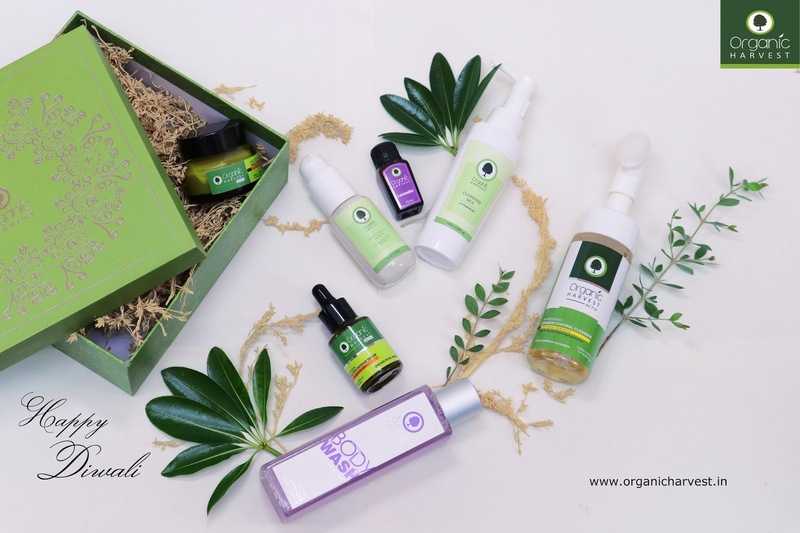 Organic Harvest introduces four gifting hampers with four different ranges!!! On the occasion of Diwali, Organic Harvest has introduced special product hampers.Indulge into the celebration of the festival with your dear ones and gift this beautiful hamper as token of love. 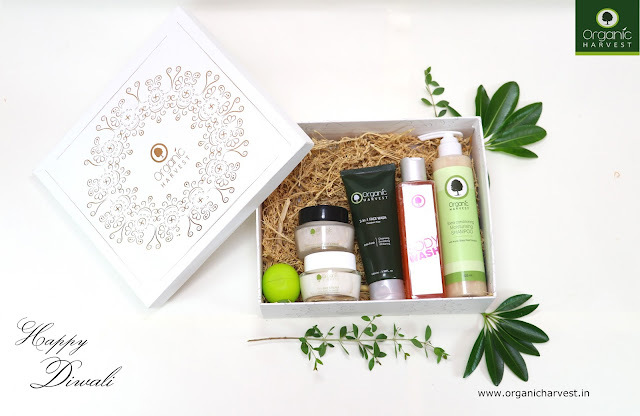 On this festive season, just check out the following bright Diwali gift hamper from Organic Harvest. This Diwali, Go Organic! Gift with purchase- 3-1 Face Wash + SPF 30 Sunscreen. With Organic Harvest’s Exotic Lavender Body Wash, Damage Control Cleanser, Pollution Defence Cream, Pollution Defence Serum and Lavender Essential Oil you have ready and effective tools to rescue your skin from daily travel hours. With Organic Harvest’s 3-1 Face wash, Green Cucumber Toner and SPF 30, you will have morning freshness all-round the day. A burst of refreshment. 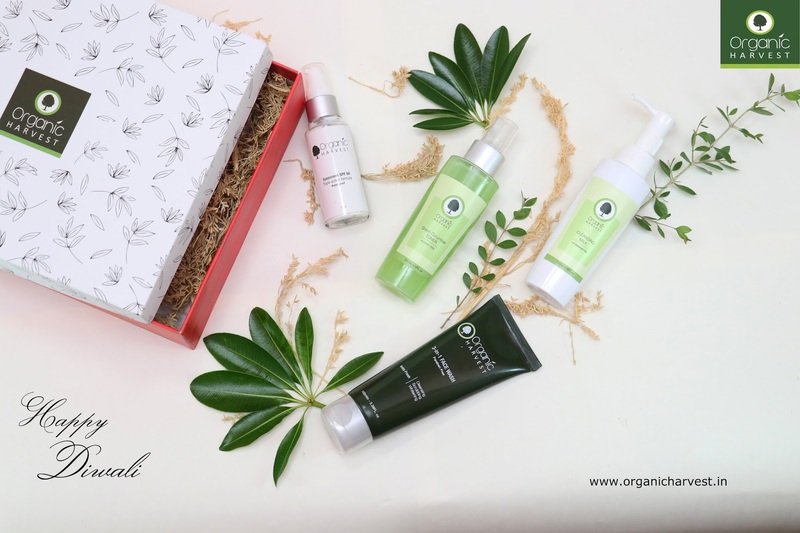 The Organic Harvest’s special discounted hamper contains Hair Strengthening Hair Oil, Daily Shampoo, Conditioner for Normal Hair, Dry and Damage Hair Spa which will help you repair damage, while nurturing and lending new life to hair. 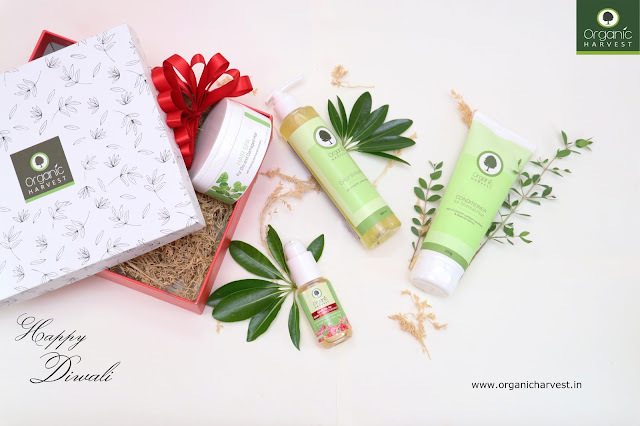 The Organic Harvest’s special discounted hamper contains Daily Night Nourishing Cream, 3-1 Face wash, Daily Day Cream, Luxurious Rose Body Wash, Extra conditioning moisturizing shampoo and Green Apple Lip Balm will leave you with fresh, restored and moisturized. 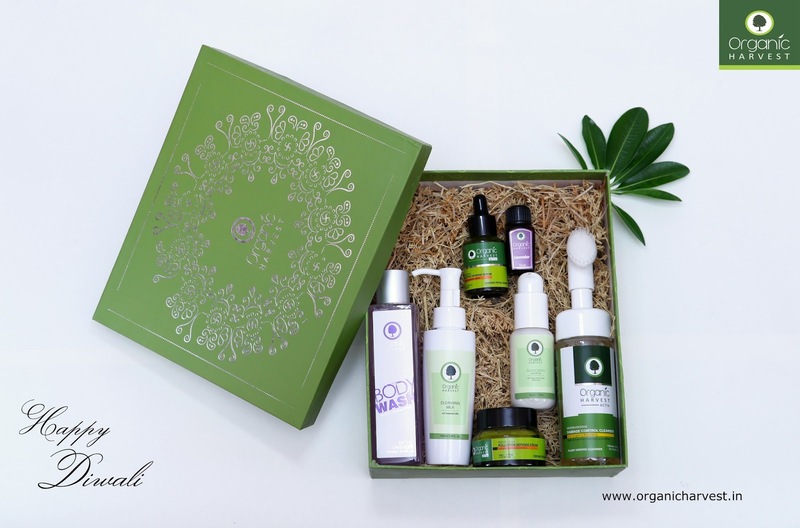 The products are available across exclusive Organic Harvest stores in India.